Women are more considerate when it comes to following and respecting the latest fashion trends because there is a wide variety of information available, women fashion icons that they can use as inspirations and it is in their nature to want to be well-dressed all the time and make everybody turn their heads when they are entering a room full of people. However, recently, men have also started to pay more attention to the way they look, dress and the impression they leave to the others. Yet, fashion trends are changing continuously and sometimes it can be a little bit confusing to try to keep up with them in order to look sharp all the time. 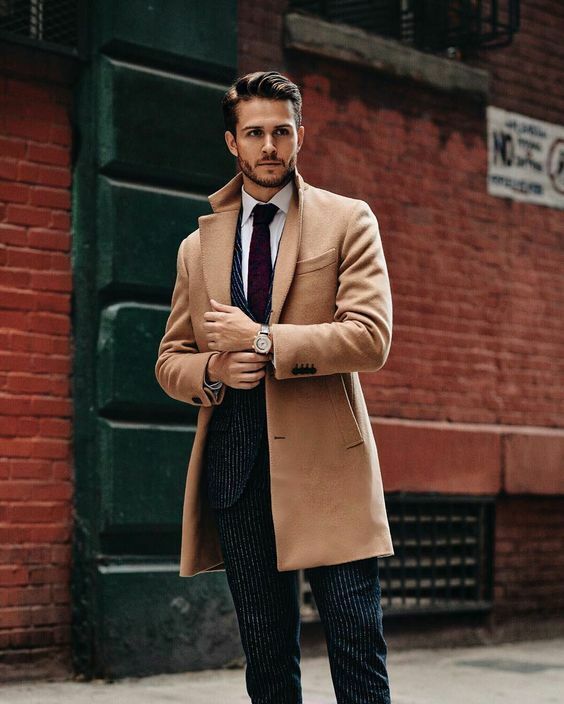 Read below the most essential fashion tips every man should consider for knowing how to dress well. Before you start looking for clothes in the store to take them inside the fitting room and try them on, you should look for clothes that are suitable for your body shape. Are you thin, muscular or stocky? Choosing the right size for your clothes is crucial if you want to dress sharp. Surely clothes that are one size bigger than yours are more comfortable but they do not look trendy at all. Also, you should pay attention not to buy a smaller size that would make the clothes that you are wearing look like they are about to explode on your body. Find the exact size that fits you the best and buy all the clothes according to it. It is known that men are not as patient as women when it comes to shopping for a few hours straight. However, if you want to be fashionable and look amazing in all your clothes, a bit of patience is necessary. Take your time to try on all the clothes that you intend to buy before wasting your money on items that would not fit you or will not look like you imagined. Not wasting your money on clothes that you are not going to wear anyway means that you can invest them in better clothing items. No matter what you do you should be aware that knowledge is power. Do your research, get in touch with the latest fashion trends, find inspiration in the celebrities that everybody knows that they are dressed by the most famous fashion stylists. You should never think that fashion trends that you see on the runways are something that you should follow by the book. They are just something that the most popular and skilled designers give to the public as an inspiration. In order to look good, you have to feel good. So, there is no need to wear something that you actually do not like or feel comfortable in just because you saw it in a fashion magazine. You have to create your own style and adapt the fashion trends to it, this way you will look stylish while expressing your own style. Surely, imprinted t-shirts were fun and suitable for a college outfit with a pair of sneakers. However, you need to consider starting to dress up according to your age and social status. Even if you might be tempted to wear those kinds of t-shirts because they are comfortable, you have to know that you will surely not be the most fashionable man at the event you are attending. Wearing extremely tight clothes the whole day or at an event that you are attending is surely one of the most uncomfortable feelings. Also, having shoes that are too tight and will leave you with painful callosity is going to ruin your day. Before you buy a new pair of shoes or new clothes, make sure that they are comfortable and would not make you suffer because being fashionable should not hurt. Having the wrong idea that accessories are made just for women to wear is actually incredibly old and is making you lose some fun when it comes to dressing up. Apart from the leather watch that you surely have by now, if you are wearing a casual outfit you should also consider wearing a leather bracelet and necklace. Sunglasses are also a must for a chic look. Always! You surely do not want to look like a man who is negligent with the way he looks because this can say a lot about you as a person. Even if you are in a rush or you do not feel like ironing your clothes, you have to get out of your comfort zone and make a little effort in order to look well-dressed. When buying new clothes for your outfits, you should consider investing your money smartly. Even if you might pay a little bit more money for clothes that are made using high-quality clothes, you will absolutely see the difference. Consider his new collections available online when thinking about places to buy high-quality clothes that will last longer without looking worn out after you wash them a few times. Important events such as a wedding or a business meeting require you to wear elegant and formal clothes if you want to give a good impression. The way you dress says a lot about yourself and your expectations from the event that you are attending. So, when having a business meeting you need to look like a reliable person who values professionalism. Do not be scared by the thought of being over-dressed, if you wear a stylish outfit it will be suitable no matter where you are going. In order to be able to discover the style that fits you best, you have to experience new things. Get out of your comfort zone of wearing the same type of clothes all the time and try new outfits ideas and new colors that you do not usually wear. How to select the best dress as per your body type? My own personal wishlist for christmas !